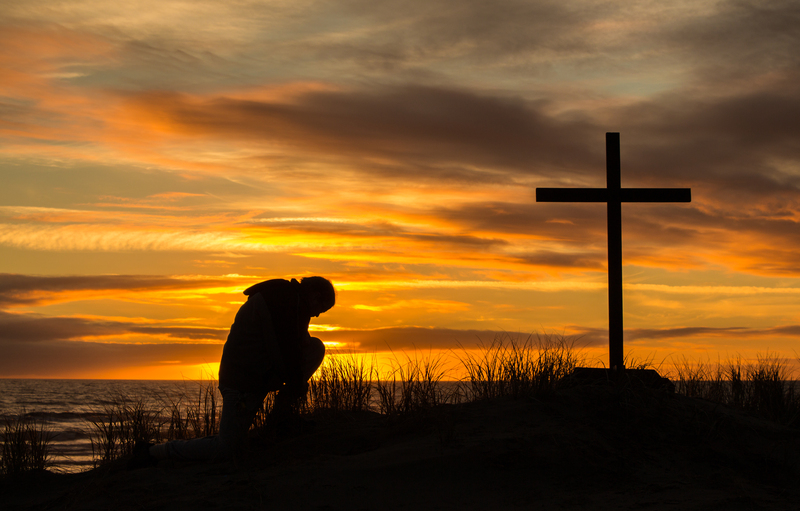 Beautiful sunset as man bows down to pray God before a cross. I recently attended a counseling training seminar on ministering the love and grace of God to those who consider themselves transgender. It was an eye opening seminar and gave me a different perspective on their battle. As I thought about the information I received, it occurred to me that the transition our culture has made regarding not just transgender people but the lesbian/gay agenda and all the other populations that have now joined their ranks with letter designations of their own. What I am going to share is not new. We live in a culture that has made a gradual shift from a worldview where God is the Authority to a world view where self is the authority. We see it in the self-focused perspective of entitlement. We see it in the idea that truth is relative, that there is no such thing as absolute truth. We see it in the upswing of the occurrence and severity of bullying. And I heard it when I went to the seminar. When our Authority is no longer God, no longer outside of self, the natural progression is exactly what we are seeing in our culture. Each individual is basically their own god. So to challenge a person’s beliefs or life choices makes no sense to them because their authority (self) has made their choices, decisions and beliefs okay and good. They believe in right and wrong but the authority of right and wrong is themselves. The enemy is making progress in the hearts and minds of our culture. The idea that God is actually the Authority over not just the lives of believers but every life, all of creation and the totality of the universe in every single aspect, bar none, is absolutely foreign to many. It is sheer foolishness. It seems a futile battle – except it’s not OUR battle. Since the creation of the world God has made Himself known – in numerous ways—nothing and no one will be able to hinder God from making Himself known. God can penetrate the darkest heart. He can open the blindest eyes. He can whisper truth into the deafest ears. Ultimately, every single person, without exception, will acknowledge Father God Almighty is THE true AUTHORITY. That’s Who is in charge here!! Diane serves part time on the staff of America’s Keswick providing ministry support from her home in North Carolina. She is also a Biblical counselor and women’s event speaker. For more information about having Diane speak at your next event please contact her at dhunt@americaskeswick.org.